Tubular pipe framework. Mounted on 50mm diameter castor wheels. 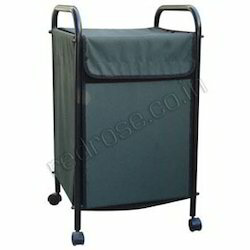 Supplied with Canvas/CCF bag with a Velcro style cover. Dimensions (LXWXH): 400X400X600mm. Pre-treated & Epoxy powder coated finish. Keep your washed and Dirty clothes neatly. 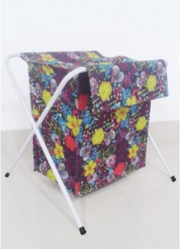 easy open hamper with untroubled carry handles. easy open hamper with trouble-free carry handles.